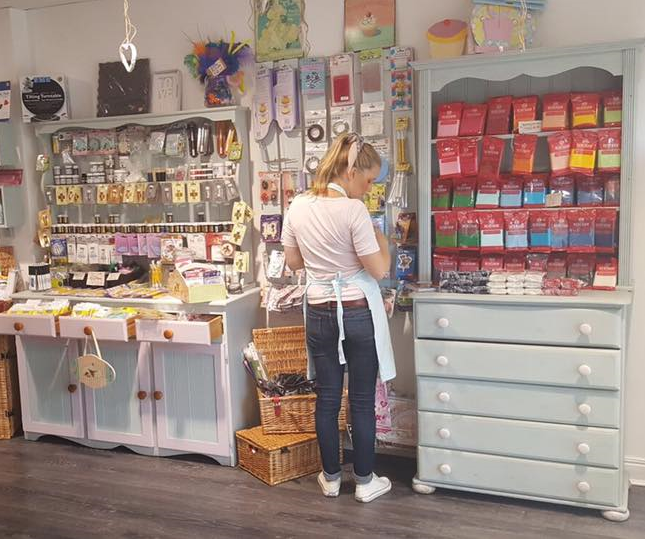 The Little Cake Cottage is home to one of the largest selections of cake craft products in Leeds. Whether you’re a professional cake maker or an amateur learning the art of cake decorating, we have all the cake decorating equipment and supplies that you will ever need to pipe up a storm. What’s more, it’s all under one roof at our cake decorating shop on Lidgett Lane in Roundhay, Leeds. We are passionate about cake decorating and we love to help and advise our customers. We provide a personal service to help customers select exactly what they need from our huge range of equipment and accessories, whether it’s for cakes, cupcakes or even biscuits, we have the solutions for all your baking requirements. Our range of cake making and decorating accessories is extensive and ever-growing, so here is an example of the kind of items that we continually have in stock. Using the correct ingredients is essential in making a cake that not only looks great, but tastes fantastic too. We stock a wide variety of ingredients and colourings that ensure your cake exceeds your expectations. You’ve made the cake and its cooled completely, now comes the fun bit; icing and decorating. Here at The Little Cake Cottage we have all the essential cake decorating tools and products required to transform you cake canvas into a work of art with. Your completed cake will then need the finishing touches, most importantly a board to sit proudly on and a box to protect. We also cake making equipment to help with all stages of the cake creating process, from rolling pins to number cutters and various size boxes. If you’ve got a special celebration coming up and don’t want to buy an expensive cake stand for a one-off occasion, our cake stand hire service is a very cost-effective solution. From just £4.50 you can hire for a cake stand for a minimum of 3 days. Extra days may be added if required. Payment is required on collection, please call our shop for details of available shapes and sizes. Cake tins can also be hired, for more information on sizes and prices please call us on 0113 257 4735 or email us online. We stock some of the worlds leading cake decorating including, Squires Kitchen, PME, Renshaws, Rainbow Dust, Culpitt and much, much more. We are based in Roundhay, view us on Google Maps.